African superstars, 2Face Idibia, StarBoy Wizkid, AKA, Black Motion and Toofan have been announced as performers who will join Neyo, Jhene Aiko, Young Thug, Davido, Bucie, Diamond Platnumz, Yemi Alade, Cassper Nyovest, to perform at the MTV Africa Music Awards KwaZulu-Natal 2015. 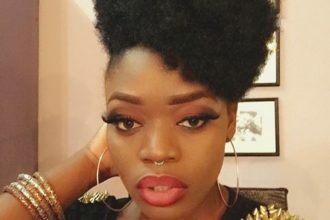 Former MAMA winner 2Face is in the running for the “Evolution” award this year, created to celebrate 10 years of MTV Base on the African continent. Black Motion is nominated for Best Group, while AKA and Wizkid are both contending for Best Male. Four-time nominee Toofan will be showing the moves that earned him nominations for Best Live, alongside Song of the Year, Best Collaboration and Best Francophone. The MTV Africa Music Awards 2015 will broadcast live across Africa on MTV Base (DStv channel 322), MTV (DStv channel 130) and BET (DStv channel 129) on Saturday 18 July at 9:00PM.